In our latest Annual Restaurant Issue, we introduced a new award category: our Top 10 Insider Picks in the U.S. For ten different cities, we recommend one restaurant where readers should go if they only have one night to pick a place for dinner. For San Francisco, Michael Mina’s RN74 was our choice. People may argue that there are some classic fine dining establishments in SF that should be the destination for that one special night, and some of them are on our Top 40 Restaurants in the U.S. list. But people already know about those places, while I think RN74 is somewhat of a hidden gem. GAYOT.com 2011 Best Restaurateur in the U.S.
Every year we pick the best of the best when it comes to restaurants, and compile them in our Annual Restaurant Issue. The categories include the Top 40 Restaurants in the U.S., Top 10 New Restaurants in the U.S., Top 10 Steakhouses in the U.S., and Top 40 Cheap Eats in the U.S. But there’s only one category where we pick a single winner, and that’s for the Best Restaurateur of the Year in the U.S.
For 2011, we have chosen chef Michael Mina. Read Mina’s profile to find out why we selected him, and watch my exclusive video interview with him shot during my recent visit to his new flagship restaurant Michael Mina in San Francisco. Posted on April 11, 2011 Author Sophie GayotCategories Dining, Gastronomy, Restaurant Issue 2011, San Francisco/Bay Area, Sophie Gayot, Video InterviewsTags 2011 GAYOT Best Restaurateur US, chef michael mina, gayot 2011 restaurant issue2 Comments on GAYOT.com 2011 Best Restaurateur in the U.S.
Our steakhouse lists are some of the most read ones on GAYOT.com, so it made sense that we would dedicate a section in our Annual Restaurant Issue to honor ten of the best steakhouse restaurants in the U.S. There are many—so this was not an easy choice. Congratulations to the winners! Check out my exclusive video interview above with executive chef Ari Rosenson at CUT Beverly Hills at the Beverly Wilshire hotel (he is also Regional Culinary Director, Los Angeles Restaurants & CUT Concepts), to see why CUT made the list. And to complete the tour of Wolfgang Puck’s steakhouse, watch my videos with general manager Mishel LeDoux and beverage director Dana Farner. And the LA Winners Are…! 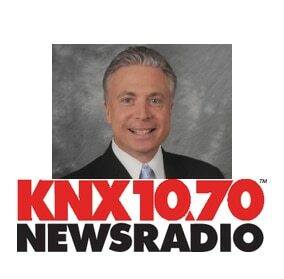 On Valentine’s Day, I had the pleasure of being interviewed by Frank Mottek of KNX1070 about our 2011 Restaurant Issue. – Top 5 Rising Chefs in the US — Chef Jordan Kahn at Red Medicine. I also mentioned Cleo and Savory, two new restaurants, for their very reasonable prices. For more about new restaurants in Los Angeles, visit GAYOT.com’s New & Notable list. Posted on February 16, 2011 October 27, 2013 Author Sophie GayotCategories Dining, Los Angeles, Restaurant Issue 2011, Sophie GayotTags 2011 Gayot Insider Picks, chef jose andres, cleo restaurant, gayot 2011 restaurant issue, gayot 2011 rising chefs, gayot 2011 Top 10 new restaurants, gayot 2011 top 10 US Steakhouses, gayot 2011 top 40 US Restaurants, Jordan Kahn, Red Medicine, sam nazarian, savory restaurant, sbe, sls hotel, Sophie Gayot radio interview, the bazaar, The Royce PasadenaLeave a comment on And the LA Winners Are…! Parece que los EE.UU. no es el único país interesado en el GAYOT.com 10 mejores nuevos restaurantes en los EE.UU. que nos aparece en la edición 2011 Restaurante. Miércoles por la tarde, tuve el placer de discutir nuestras selecciones con el famoso periodista colombiano Jaime Sánchez Cristo en su programa dario de radio “Los Originales”, que se transmite de Colombia en La X 103.9 FM. Usted puede escuchar la entrevista, tanto en Inglés y Español, y escuchar los nombres de los ganadores. It seems that the US is not the only country interested in the GAYOT.com Top 10 New Restaurants in the US that we published in the 2011 Restaurant Issue. 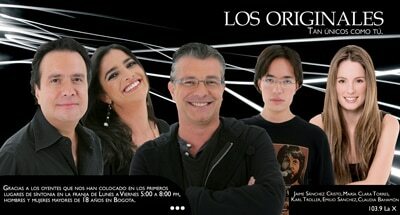 Wednesday afternoon, I had the pleasure of discussing our selections with famous Colombian journalist Jaime Sánchez Cristo on his daily radio show Los Originales that airs from Colombia on La X 103.9 FM. You may listen to the interview, both in English and Spanish, and hear the names of the winners.